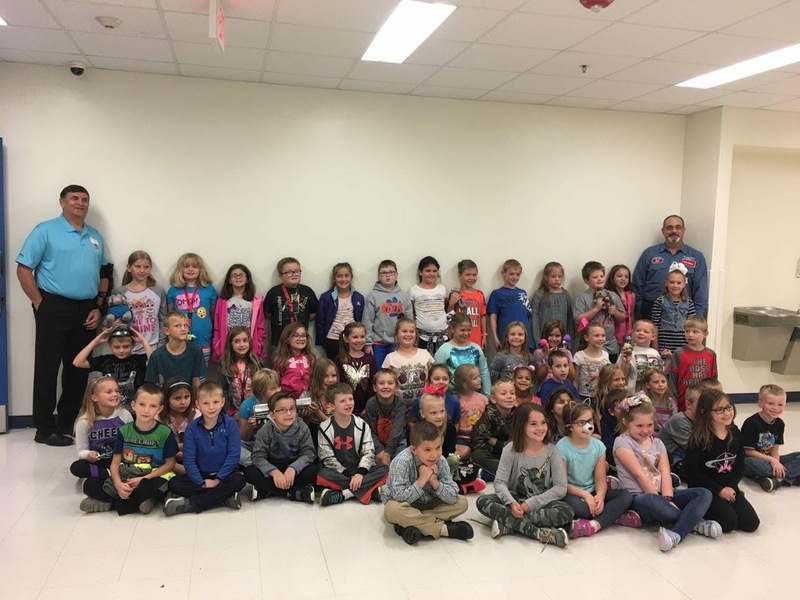 State Representative Dave Severin (R-Benton) today visited Christopher Elementary School to help promote safety on the roads to the 2nd Grade students. Through their “Trucker Buddy” event, the students learned about the dangers of texting while driving and the importance of wearing seat belts while in a moving vehicle. “Second graders are old enough to begin to understand the consequences of good and bad decisions and this is the right age to reinforce these kinds of safety issues for them and their families,” said Rep. Dave Severin, a member of the Appropriations-Elementary & Secondary Education Committee. An organization called Trucker Buddy International gives students a glimpse into what life is like on the road. The Alabama-based nonprofit group matches classes of students with professional truck drivers, who share news about their travels with kids throughout the school year.